Maximizing efficiency in your mail operations is a key component in ensuring professional communications. The best way to achieve those goals is the Hasler IM350 Intelligent Mailing solution. 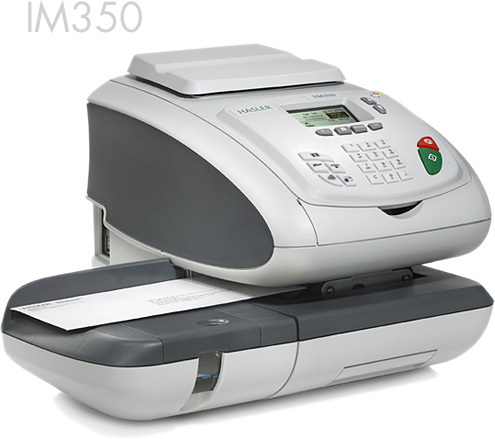 The IM350 makes it simple to weigh, rate, post and track your mail with accuracy. And, it’s amazingly easy to use, with a level of convenience that more than meets your mailing needs. The IM350’s smart and user-friendly technology starts with the powerful, semi-automatic feeder and integrated weighing platform. Its features, functionality and desktop data access will simplify your mailing tasks and provide effective control of mail-related costs… all at the touch of a button.